Shifting Infrastructure to the Cloud- Where Does the Onus Lie? 5 Steps to Avoid Cloud Migration Failure? Is VMware Building Bridge to Rival Amazon's Cloud? Could the Cloud's Worst Enemy be the Cloud? Giving a Green Light to Brownfield Cloud Migrations: Look to Automation! What Innovative Ways can IT Impact the Business in 2015? "For many reasons, the larger enterprises do not want too much of their environments in the public cloud. That may change over the next few years, but right now, they want control. With that said, they need a way to communicate and operate in a hybrid environment of public/private, with tools and vendors and architectures that provide for cloud/server mobility." "RiverMeadow's professional services program tied to its software offerings will help reduce [migration] risks even further for Savvis customers." "Migrating servers of any kind to the cloud can be a complex, costly, and daunting task. RiverMeadow Software aims to ease that process…with its API-based platform that facilitates automatic server-to-cloud migrations." "RiverMeadow Software…has nailed down a $12 million B round of funding whose investors include Cisco, Violin Memory and others." 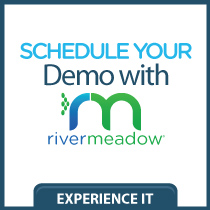 "RiverMeadow recently announced free server migrations into VMWare vCloud Hybrid Service, using the RiverMeadow Cloud Migration SaaS Portal at VMWorld 2013." "RiverMeadow Software announced on Wednesday it has closed a $12 million Series B financing round…The new funding will help go to support RiverMeadow’s growth as the company drives deployments of the RiverMeadow Cloud Migration SaaS with carriers and service providers around the world." "Cisco in April said it would use RiverMeadow's tools to help customers move entire server workloads to public, private and hybrid cloud environments." "RiverMeadow announced that Cisco will use the RiverMeadow Cloud Migration SaaS tool in its Cloud On-Boarding Service offerings…by reducing the cost, timeframe and complexity of cloud migration, the solution enables Cisco to quickly, easily and cost-efficiently deliver the benefits of cloud computing to their customers." "Automating the migration process, by the way, helps the client as much as the cloud provider because it can be used to manage the volumes, and thus the costs, going to the cloud." "It's very important for us to have these tools to bring [customers] into our cloud." Sachin Bansal, Cloud Ecosystem Program Lead, Savvis Inc.
"Over the next few years, as businesses look to the clouds for more of their IT operations, they will need tools such as RiverMeadow Cloud Migration SaaS for efficiently moving virtualized servers and data to clouds initially as well as between clouds on an ongoing basis,"
"At RiverMeadow, we understand that cloud migration is vital for achieving real-time and updated performance and efficiency. Therefore, cloud migration requires careful analysis, planning and execution to ensure the cloud solution's compatibility with organizational requirements." "Nobody really enjoys data migration, which is why interest in automation is so high when it comes to highly dynamic virtual and cloud environments."